We are thrilled to be hired as the Construction Manager and join an innovative partnership between Hamilton Health Sciences and CONNECT Communities, for the creation of a new Acquired Brain Injury (ABI) and Stroke Community Transitional Residence in Hamilton. 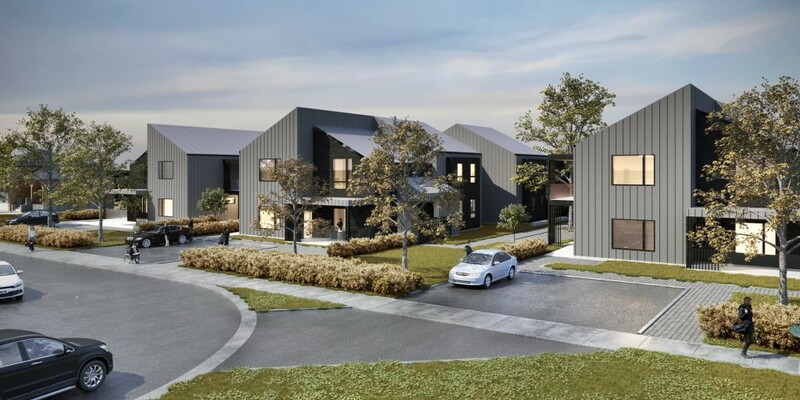 The residence will hold a program called Connect Hamilton, and includes the development of townhouse complex with six homes containing seven bedrooms each on the Stoney Creek Mountain. Scheduled to open fall 2018, the complex to be built at 26 Upper Mount Albion Road, designed by DPAI Architects, will be composed of three 2-storey residential wings connected by a 2-storey common space, and will have capacity for 42 people, including 28 bedrooms funded through Hamilton Health Sciences. As well, a 1-storey outbuilding will provide additional amenity for the residents. The CONNECT Hamilton program is for people with acquired brain injury, and is focused on helping them redesign their lives in at-home settings. It will be staffed by a clinical coaching team of health professionals from a variety of disciplines, including, but not limited to nursing, occupational therapy, physiotherapy, speech language pathology and others. A crowd of approximately 50 attended the Ground Breaking celebration at the future site on October 17th, 2017. For more information on this project and/or any of our other exciting projects email or call Ron Worrall – Vice President – Business Development 905-297-4653 ext. 16. 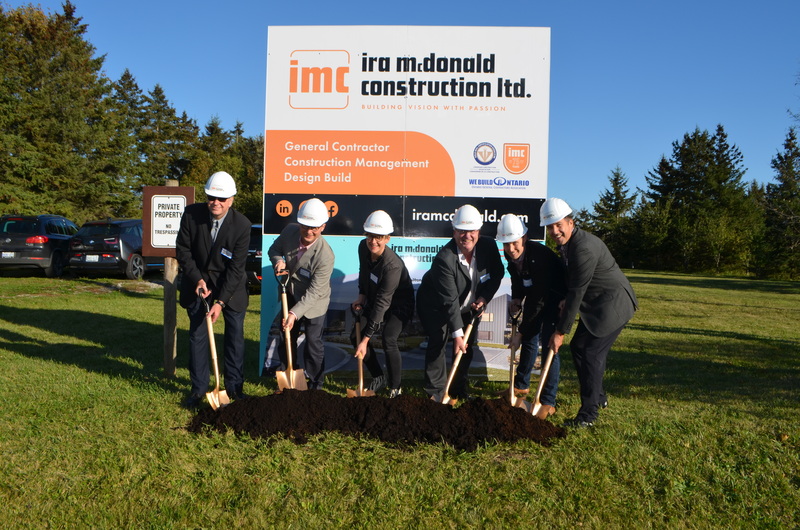 Ira McDonald Construction Ltd. is committed to ensuring a safe work environment for all employees, sub trades and clients. Safety is a value that we are most proud of and will continue to work on as part of IMC’s continuous improvement. 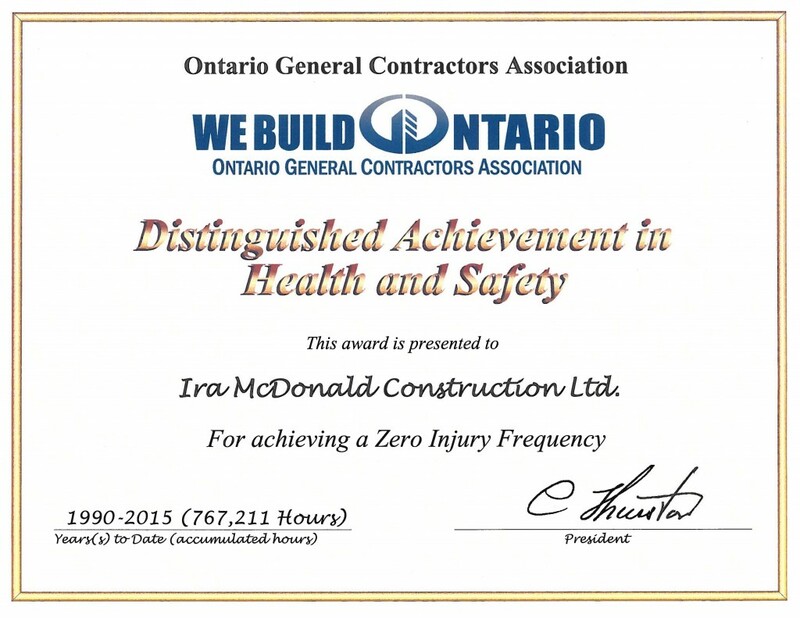 IMC had the pleasure of recently being recognized for our continual safety efforts at an annual event held by the Ontario General Contractors Association (OGCA). We were thrilled to receive our latest ‘Distinguished Achievement in Health & Safety’ Award. The certificate illustrates our 25 years / 767,211 Hours of achieving a Zero Injury Frequency (1990-2015). IMC was delighted to share this moment with the over 150 people who attended the event, held at the end of September. 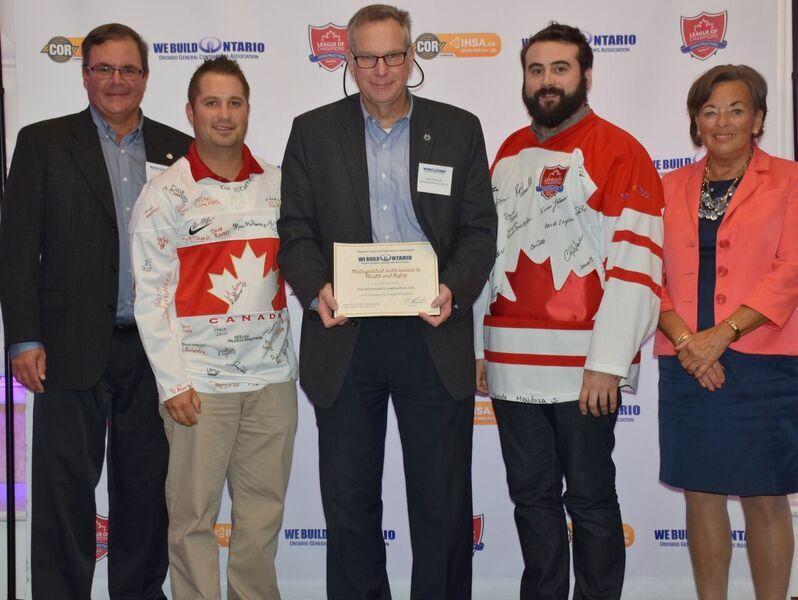 Also presented during the event were League of Champions jerseys and charters to the latest members of the league by Rob Ellis, Frank Perricone, and Chief Prevention Officer and Minister of Labour Kevin Flynn. Another proud safety milestone for IMC is the honour of being welcomed as one of the League’s first members, earlier this year. 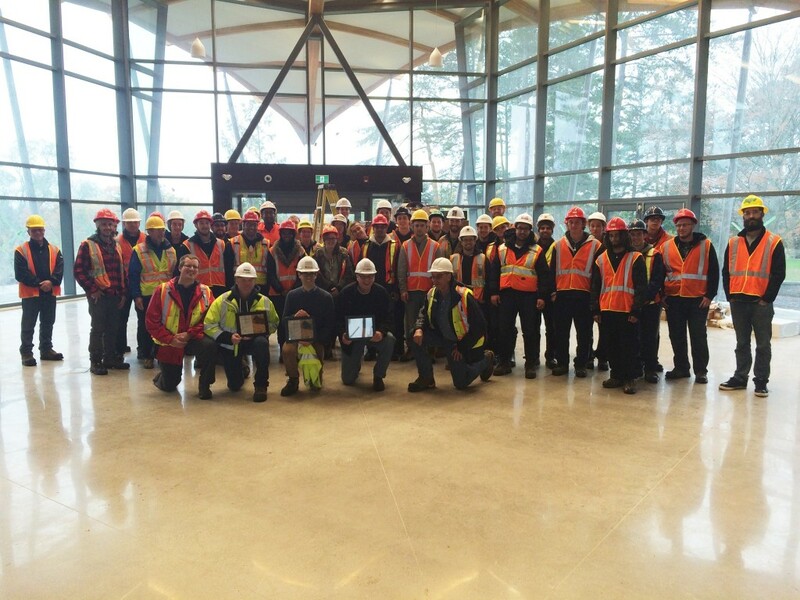 The League of Champions program is an Ontario General Contractors Association (OGCA) initiative in conjunction with MySafeWork to promote a safety culture and build awareness in industry. Rob Ellis of MySafeWork has been an inspiration to our team and an instrumental tool in our quest for COR Certification. Ira McDonald is proud of our commitment to safety and our 25-year record of no lost time injuries. We are passionate about workplace safety, and remain committed to our goal of NO ONE GETS HURT. For more information email or call our Health & Safety Department at 905-297-4653 ext. 45. 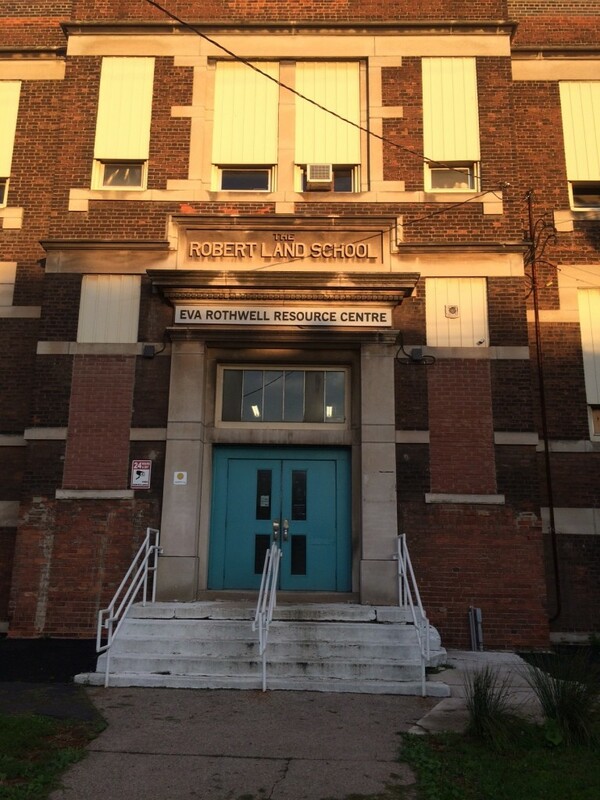 When the doors closed after 90 years at Robert Land Elementary School in Hamilton, proud neighbours and concerned citizens rallied together with one common goal in mind – creating a home for innovative programs and services aimed to help improve the quality of life and enhance the social well-being for neighbourhood families. In 2006, the Eva Rothwell Resource Centre opened its doors and its hearts to the community. The centre has since been a leader in creating a better community in the Hamilton area inspiring bigger dreams and unlocking hidden potential in all the people it has the opportunity to interface with. In 2015 Ira McDonald Construction was introduced to a partnering opportunity with the Inner City Outreach Ministry Young Mom’s Program. As a family-owned and operated company, IMC strongly embraces and fosters family values, therefore this was a very welcomed partnership and we were ecstatic to help support such a wonderful program. The Young Moms program regularly hosts Young Moms and their children at the Centre. The Renovation Campaign was an initiative created to provide an inviting and comfortable space for the young moms and their children to come together and connect with their peers for mentoring, support and friendship. The basement space where the group met had a cold institutional like feel and the Program Director, Don MacVicar, realizing the need to upgrade the interior space, approached Ira McDonald Construction to help with an interior upgrade. 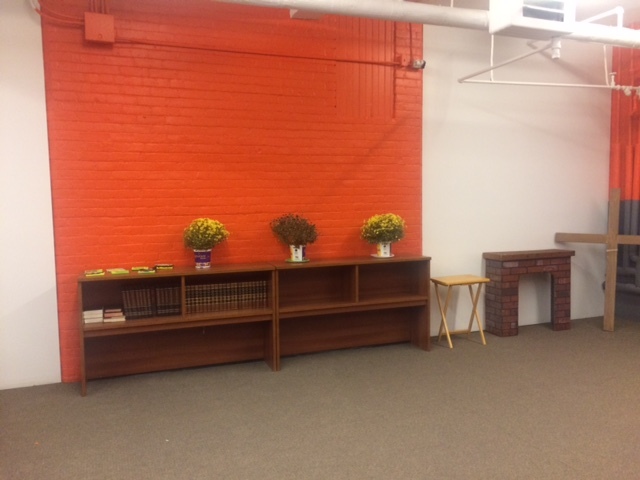 IMC staff, along with their industry colleagues and subcontractors, volunteered their time, expertise, labour and materials to help give the space a much-needed facelift. The Inner City Outreach Young Mom’s Program was developed to help improve quality of life and enhance social well-being in the community thus create a better environment to raise a child in the high risk area of Hamilton. 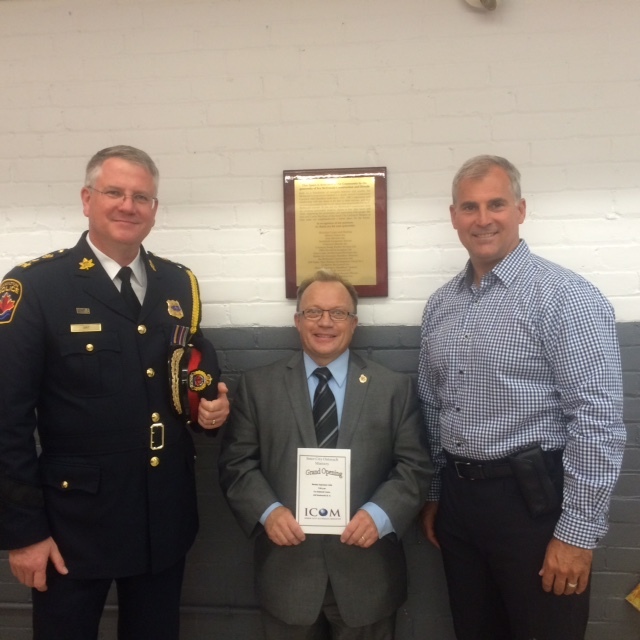 The success of the renovation campaign was dependent on the support and expertise of our community partners. IMC reached out to many industry colleagues for partnership at various levels of the renovation process, and we are amazed at the overwhelming positive response we have received. We have had VCT Tiles, Paint, Drywall, Electrical Conduits, Sockets, Lighting, HM Doors and Door Frames and various other labour components donated. 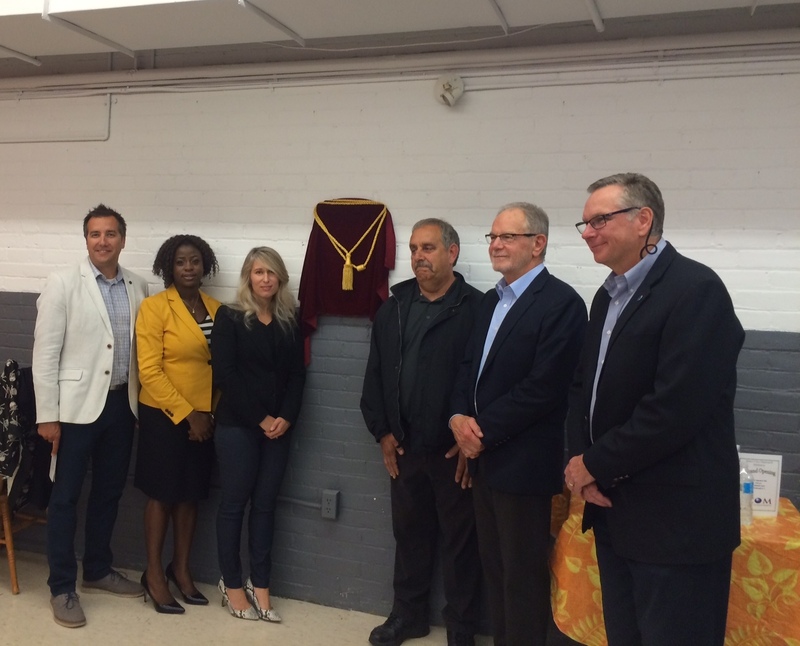 The Grand Opening of the newly renovated space was held on September 26th. To find out more information about this program, please contact Keziah Folarin-Babatunde. Edited November 3rd, 2016: It is projects and efforts like this that make a real change – Individually, for companies like ours, and in the community! 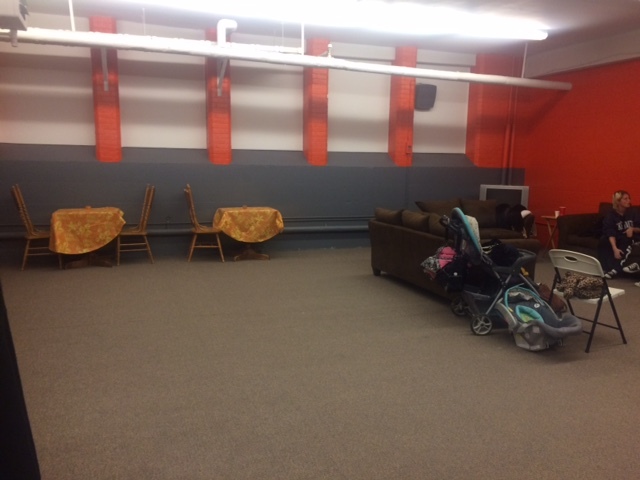 The space is now open and is being enjoyed by the participants of the Young Moms Program. “We Love it” according to one mom interviewed in this wonderful article published in the Hamilton Spectator: A new room for young moms. 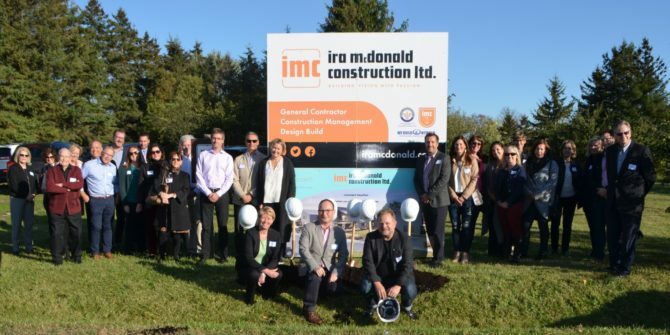 IMC is honoured to be involved in this community initiative, and are proud of all our industry colleagues and subcontractors who contributed . 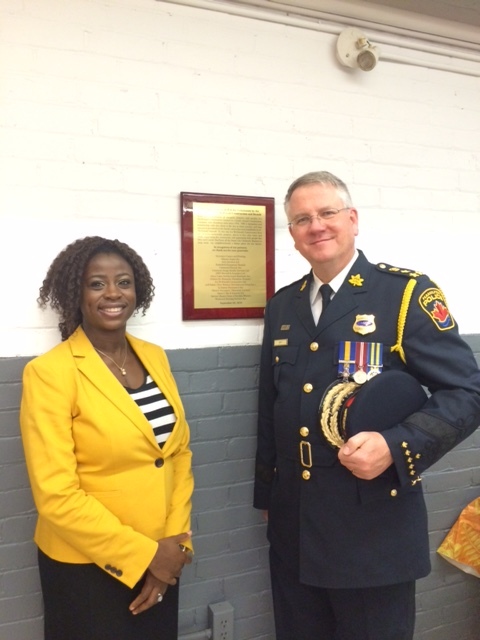 A special thank you to our Keziah Folarin-Babatunde for her dedication and efforts in the project. 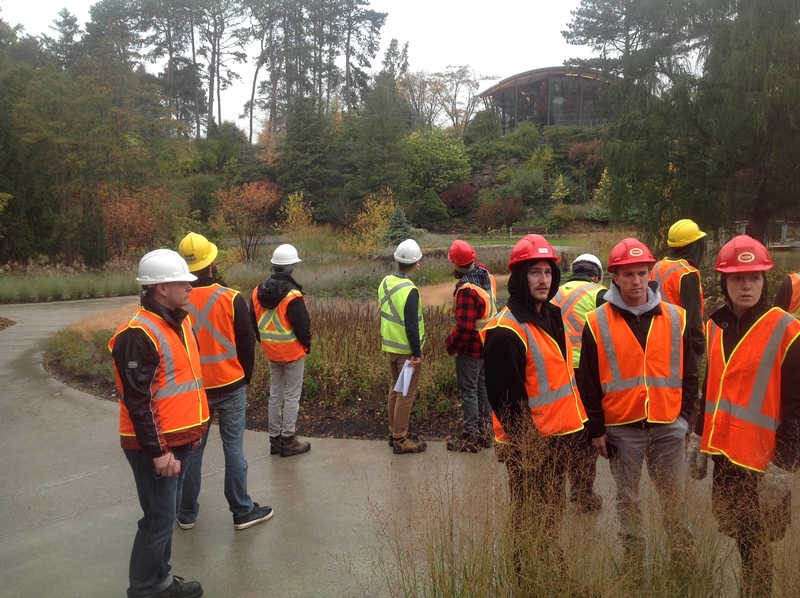 Ira McDonald Construction had the opportunity to host a group of Mohawk College Students onsite at our Royal Botanical Gardens – Rock Garden Rejuvenation Project as part of Mohawk’s NOWIT15 Tour. 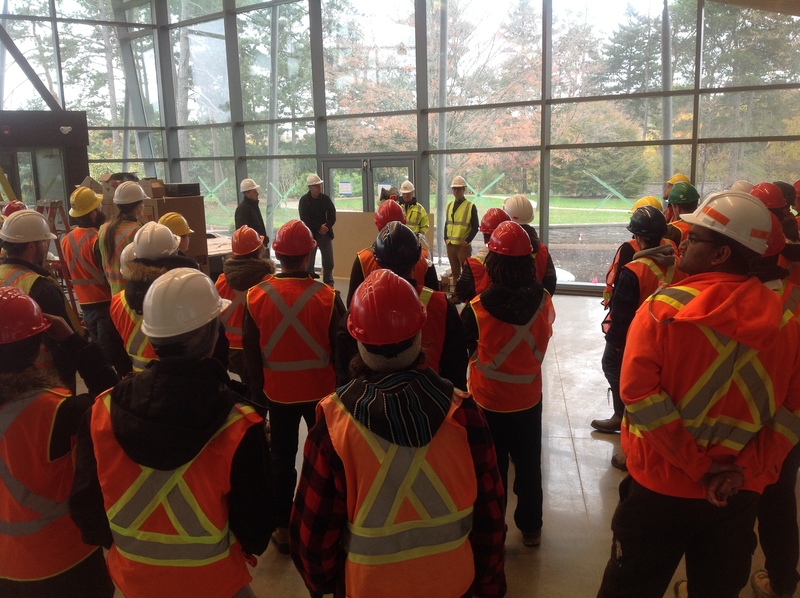 The Northern Ontario Wood Instructional Tour (NOWIT), in its third year, was a 4-day, 3-night tour in Northern Ontario for Mohawk students and faculty in the Civil Engineering Technology and Building Renovation programs. The visit to the new Visitor Centre at RBG on October 24th, was the group’s final stop on the 4 day tour which was comprised of 16 to 18 hour whirlwind days for all involved. While at RBG, the students toured the new facility and received a presentation from Timber Systems and Ira McDonald on the Douglas Fir Glu-Lam Timbers that create the Architectural Structure of the feature “Lily” shaped roof of the new building. You can find more information on the RBG Rock Garden Project here: RBG – Rock Gardens Rejuvenation Project and Unique Roof Frame Assembled at RBG Rock Garden Visitor Centre. As a follow up to one of our previous posts found here, IMC is proud to share some news on the Royal Botanical Gardens – Rock Gardens Rejuvenation Project. Rebuilding the original rock gardens, constructed more than 80 years ago, and constructing a new Visitor Centre has been an exciting program since the project’s inception. Many memories have been created over the years at the Rock Gardens and IMC is taking great pride in helping to not only preserve those special moments, but create many more for generations to come. The interest and excitement is growing as this iconic project becomes so much more visible and publicized. We are thrilled to share the below images, and encourage all to take a look at the below links, for some great media coverage and videos on the Gardens and the Rejuvenation project as a whole. It’s been a busy summer at IMC! If you have any questions, please don’t hesitate to email us at info@iramcdonald.com. 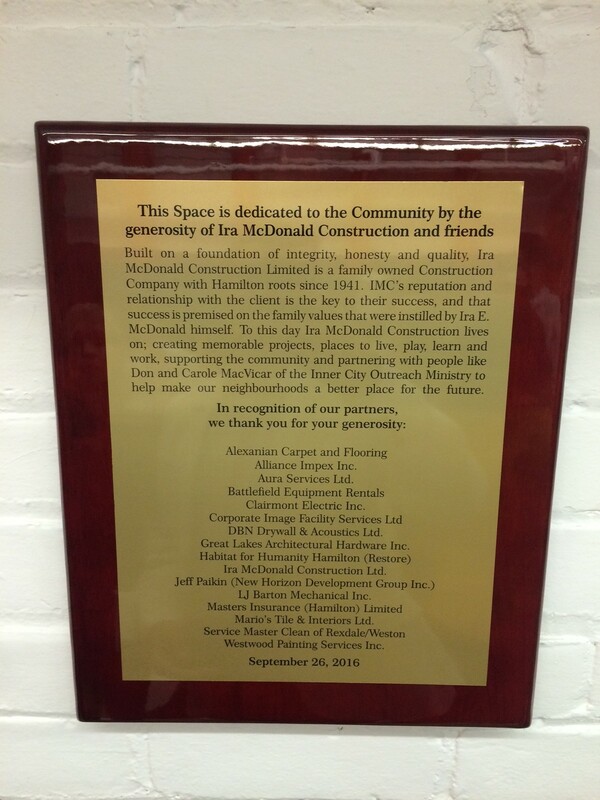 Ira McDonald Construction has been in the Hamilton area for almost 75 years. IMC has a rich and deep history, and innovation has been a very key thread woven through IMC’s fabric. The “IMC Way” is being process mapped and value streamed to ensure effective delivery for the best value to the client. IMC is committed to a Lean approach and ensuring an efficient and focused delivery to the client. IMC is proud to partner with WBSE on this project, as it is beneficial for IMC’s continuous improvement and customer focus, as well as promoting education and opportunities to McMaster University students. Exciting times at IMC! If you have any questions please don’t hesitate to email us at info@iramcdonald.com. Ira McDonald Construction had its quarterly communications meeting and the theme of meeting was COR. COR stands for “certificate of recognition” and is a highly respected safety standard that is recognized by the OGCA. Ira McDonald is proud to have a 25-year record of no lost time injuries as recognized through the Ontario General Contractors Association. Ira McDonald is committed to ensuring a safe work environment for all employees, sub trades and clients. Safety is a value that IMC is most proud of and will continue to work on as part of IMC’s continuous improvement. It is not a requirement but it is a necessity. Pictured below is Rob Ellis speaking to our company on the commitment to COR certification. 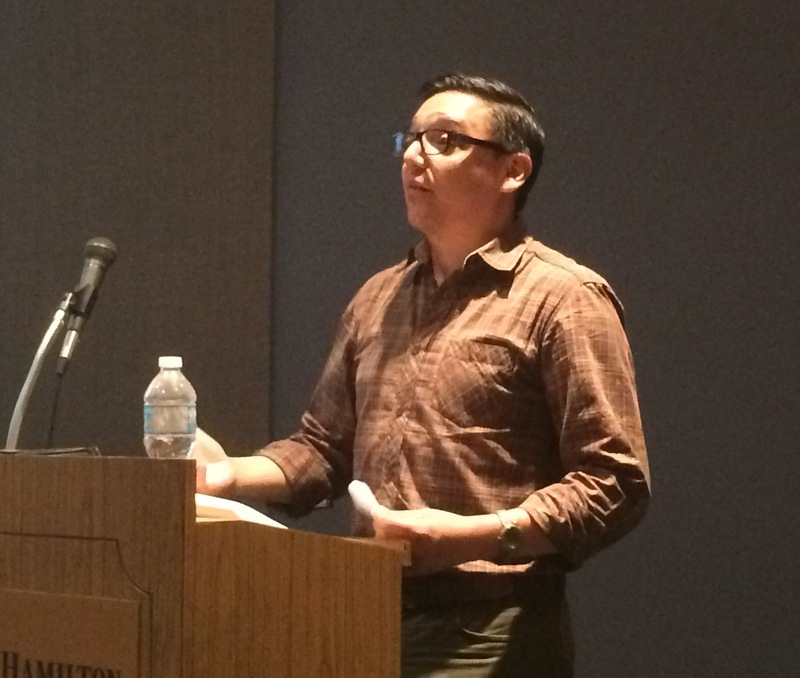 Rob was able to share his life story with us to confirm the path that IMC is taking. He was very inspirational and moving and challenging our company to “always be better.” There is always room for improvement and creating a culture and environment of safety is paramount to IMC. As shown in the picture, the owners of the company are being asked what level of commitment they have to COR. Our ownership responded with the whole-hearted commitment to obtain COR certification and continue to build on the great foundation that IMC has today. 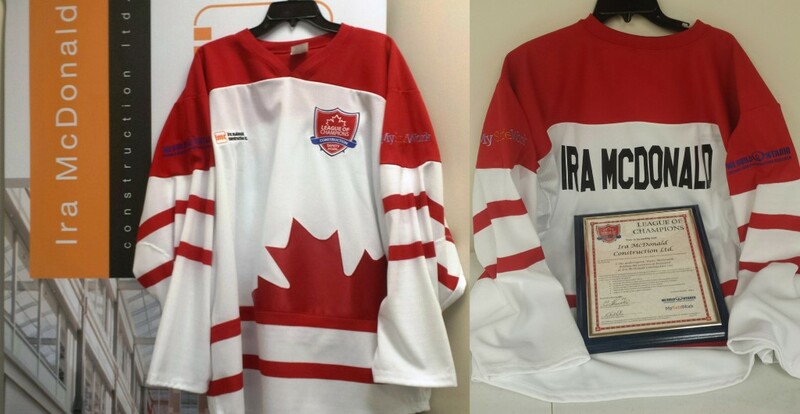 IMC ownership and employees signed the Jersey of Courage to show their commitment to COR. If you have any questions regarding our quest to COR please don’t hesitate to email info@iramcdonald.com. Many of the most advanced research and healthcare facilities in use today involve the use of strong electromagnetic fields, which require special expertise during their design and construction. Cyclotrons that manufacture cancer-fighting radioisotopes, powerful electron microscopes, and “Hot Cells” that contain radioactive materials plucked from nuclear reactors all present unique challenges pertaining to budgeting, scheduling, and safety. The following is a brief look at how some of these challenges are addressed during design and construction. Electricity and magnetism are related phenomena that occur due to subatomic particles like protons and electrons. In many cases, they can be beneficial and helpful, but when dealing with strong EM fields, special care must be taken. For example, a Magnetic Resonance Imaging (MRI) machine uses an electromagnet to expose the human body to extremely powerful magnetic fields which affect bone tissue and organ tissues in different ways. This allows doctors to produce highly detailed images of patients in order to identify and diagnose health concerns. Although the MRI is an essential diagnostic tool in modern medicine, the electromagnetic fields are so powerful that they can be dangerous if metal is present. When constructing an MRI facility, non-magnetic materials like brass, aluminum, and concrete must be used. 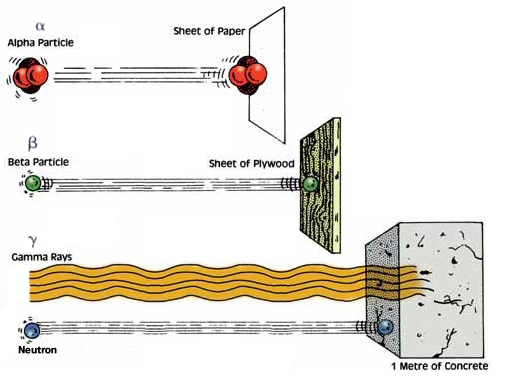 In addition, shielding must be built into the walls using a special type of steel (‘electrical steel’ or ‘silicon steel’) to prevent the magnetic fields from affecting facilities located outside of the room. In addition, any rebar used must be made of GFRP Rebar, or Glass-Fiber Reinforced Polymer. The scientific understanding of radioactivity was developed throughout the 1900’s, and has many modern applications such as nuclear power or medical radioisotopes. There are several different types of radiation – although some radiation is harmful, most types of radiation people are exposed to are not (for example, bananas emit harmless radiation due to the Potassium they contain). Isotopes of certain elements, such as Technetium-99m, release radiation that can damage cells and tissues in living organisms. However, in the hands of medical professionals, a small dose of Technetium-99m is an extremely effective imaging tool that doctors can use in diagnostic tests, such as a thyroid imaging procedure. Millions of doses of Technetium-99m are administered to patients each year, which makes the demand for the isotope extremely high. Recently, a Canadian team of researchers developed a way to manufacture the isotope without the use of a nuclear reactor. 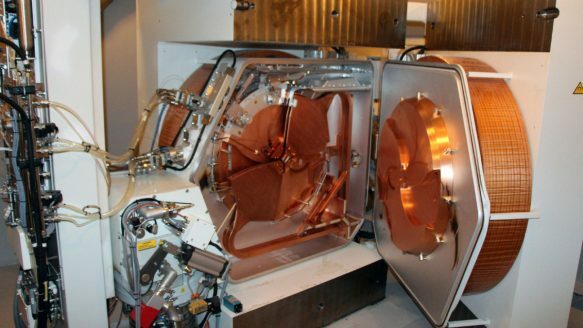 Instead, a particle accelerator like a cyclotron can be used, which requires a unique facility due to the radiation involved. In addition to magnetic shielding, care must be taken to contain all radiation to the cyclotron itself. Walls made out of several feet of concrete, along with lead shielding, are two of the most effective materials to absorb the radiation generated during the production of Technetium-99m. Ira McDonald Construction has constructed two cyclotron facilities so far – at McMaster University and the Toronto General Hospital. 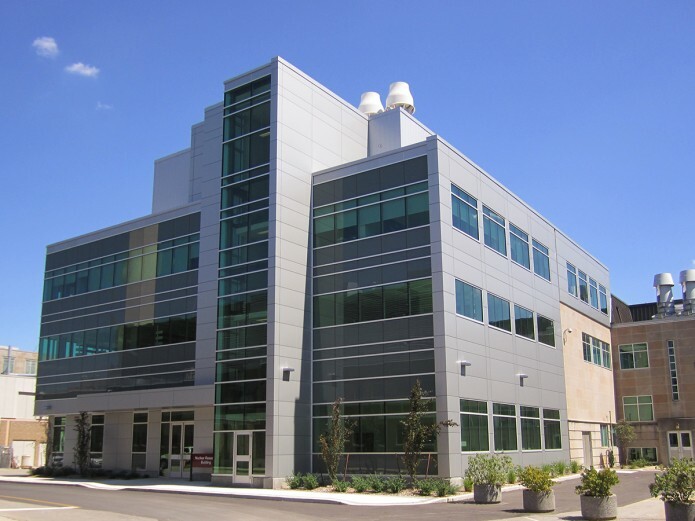 However, there are many facilities that involve the use of radiation, such as the McMaster Nuclear Reactor and Post-Irradiation Examination facilities. All of these projects require a high degree of co-ordination throughout the construction process – architects, engineers, owners, and construction managers all have a role to play in making complex projects a success. A full list of Ira McDonald Construction’s specialized facility experience is available here; Specialized Construction Experience (Right-Click and ‘Save As’). Mohawk College recently asked community leaders to identify ‘unsung heroes’ who are making an extraordinary difference in the community. Among the individuals profiled in “Everyday Heroes” is Kim McCarthy, Ira McDonald Construction’s Director of Estimating. 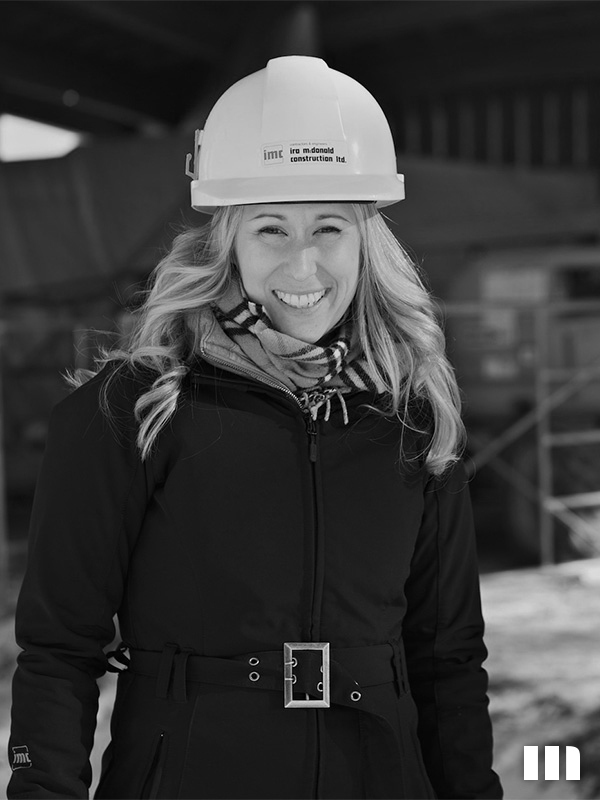 Kim McCarthy graduated from Mohawk with a Dipl.T.Arch in 1997, and has been working in the construction industry ever since. She has been the lead estimator on landmark projects in the Greater Toronto & Hamilton Area, such as McMaster Innovation Park’s Atrium and MARC buildings, the Camilla & Peter Dalglish Atrium at the Royal Botanical Gardens, the Dundas Valley School of Art, and Gowlings’ Hamilton office – an award-winning revitalization of a heritage-designated building. The project featured in the video is the Royal Botanical Gardens’ Rock Garden Rejuvenation. In a new video produced by Hamilton’s Economic Development Office, the restoration and preservation of a former Bank of Montreal building is shown to be one of many success stories in the flourishing downtown of Hamilton, Ontario. 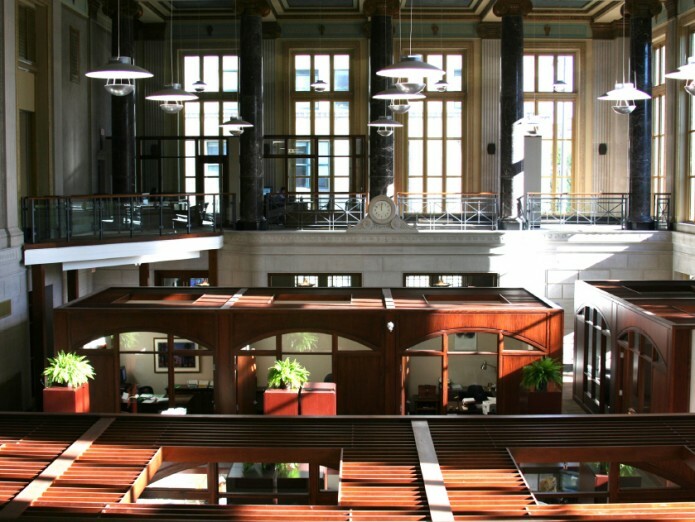 Built in 1929 in the Beaux-Arts style, the heritage-designated building housed varied tenants before being bought by Gowlings to become their permanent office in Hamilton. The project, a renovation and addition performed by Ira McDonald Construction on a construction management basis, entailed a complete restoration and replacement of the electrical and mechanical systems, a replacement of the building’s glazing systems, as well as stonework maintenance, extensive millwork, and furnishing work. The renovation won an Award of Excellence in Heritage Conservation at the City of Hamilton Urban Design & Architecture awards in 2005. The video features several prominent Hamiltonians, including Maestro Boris Brott, Jeff Feswick of Historia Restoration, Jocelyn Mainville of Yale Properties, Sean Rosen of View Magazine, Tim Potocic of Sonic Unyon Records and Supercrawl, and Mark Tamminga of Gowlings. As a general contractor and construction manager with over seven decades of history in Hamilton, Ira McDonald Construction is proud to have had many opportunities to contribute to the built environment of an Ambitious City with a very bright future.